Residing in My Kingdom those who are already free from birth and death, for the life of a spirit is eternal. In My Kingdom and My Heaven, whoever born here is the reincarnation of holy people who died when they were purifying themselves in Heaven, and who died joyfully for they certainly could be back residing in Heaven through reincarnation or incarnation. And the ones who left behind will not feel a prolonged sadness, because they immediately can communicate freely with the spirit of their loved friend right after she died. And they mingle happily whilst waiting for My Permanent Stipulation to the spirit of their friend, who has passed away. Truly, Dunuk’s spirit, right after she took her last breath at Cipto Mangunkusumo Hospital, I immediately placed it back in Heaven. And that makes the atmosphere in Heaven is no longer filled with deep sadness. Therefore, actually the spirit that has been detached from the body, it is directly united with the universe, except if I make other stipulation, as My Stance to Dunuk’s spirit that I should immediately put it back in Heaven. Therefore, actually the corpse of the deceased has been left by its spirit, and it goes through not the grave torment. As for such belief, it is contradictory with the logic and the law of nature. The corpse that has been left by the spirit will not possible feel the grave torment. Therefore, end such belief and end ‘tawassul’ (asking Allah Almighty through the medium and intercession of another person) to the deceased, for I directly communicate only to My Prophet and there is no intermediary for Me. And when Heaven exists in the world, I only communicate with the holy people in Heaven. Therefore, do not fight against the law of nature nor break My Law, for a spirit cannot mediate a prayer unto Me and the sacralized spirit stays not in the grave forever. Hence, people who sacralize a grave are totally wrong. And the ritual and the prayer they plead for someone’s grave is of no avail, for someone who has died most probably has been born to be someone else whom they recognize not. Nevertheless, in Heaven, the story of Dunuk’s passing I render as an explanation about the people who purify themselves in Heaven, that when they pass away, certainly I put them back in Heaven and their spirits are recognized by all their fellow holy people in Heaven. And the reciprocal communication happens with full of joy and longing, the situation seems like no different except that there is no physical body. The Communication that is unique and entertaining amongst those who are left and who leave is the happiness in Heaven. The language of spirit in Heaven is a common communication and needs not any ritual, it is like a unique spontaneous romance in Heaven that has no comparison outside Heaven. The communication with Me and the Holy Spirit as well as with their own fellow who has passed away is opened freely for all holy people in Heaven. And that communication is then turned to be verbal when the stipulation of law of reincarnation or incarnation have already been stipulated. And the stipulation is up to Me; who he is going to be born as or to whom in heaven he will incarnate. And afterwards, that communication will become real as a verbal communication amongst the dwellers of Heaven. Then wait for Dunuk to incarnate to Sejati, the daughter of a couple; Abdul Rachman and Tri Sudiati. Thus, Dunuk who was always zestful and capable to carry out My Mandates in Eden will cover Sejati’s weakness. Dunuk is directly sent back to Heaven to fill Sejati’s weakness, who cannot be independent. Hence, actually My Blessings in Heaven is none other than showing the existence of special frequency from the hereafter to Heaven and the existence of special destiny so they could complete and beatify one another. Thus, one of the postulate of spirit law explained through both of them. Apparently, the law of incarnation is clearly seen through Dunuk’s passing for there is Sejati who will prove the incarnation of Dunuk through her. I tie up Dunuk and Abdul Rachman in one destiny related to the destiny of Sejati, Abdul Rachman’s daughter, for both are the first people who believed in Eden and own an equal endurance and quality of faith. And this is the occurrence that projects the tales of Heaven in the world, the story of heavens that becomes real in the modern human world, which explains the tawheed mysticism and the postulates of My Law regarding the law of spirit that is real and true. Thus is the function of Heaven in the world. And inside My Heaven the tears shed are not of sadness, instead, it is a joyfulness upon the role changing that certainly to be better. And in My Heaven there is no death, it is just a spirit placement of a different function in Heaven, for the sake of a better role placement in Heaven for the next assignments. Truly, I am explaining the law of reincarnation and incarnation, which is part of the law of spirit regulation, of which meticulously arrange the destiny and nature, so human beings misunderstand not their communication with the spirit creatures and utilize it not for their false interest and violate My law for the sake of certain motive that benefiting themselves, so they slip into idolatry, which is a form of sin that I cannot forgive. For idolatry will end in associating Me with others and will become a heresy. And when it attracts many people’s attention and considered as common, then it becomes a heresy and religious misleading. As for all My Creatures including the spirit creatures, they certainly always prioritize their own gainful desire, even though they have to breach the law of nature of which is forbidden. Mysticism in Heaven is a holy mysticism and it is a blessing from Me in Heaven, for the axis of communication in Heaven is certainly a transcendental communication. Thus, it is the functionalization of Heaven that I bring down for real in human world. YM Dunuk, Siti Zaenab Luxfiati has passed away, on September 13, 2016 at Cipto Mangunkusumo General Hospital, Jakarta. It is our great sadness that our beloved sister whom we love so dearly has gone, returned to God to position another destiny of which her utmost destiny that has been determined by God for her. Actually, all YM Dunuk’s devotions and sacrifices in Eden for the sake of her loyalty to God, which she had gone through for 20 years, it has been counted as the maximum. And as a human being, she has given everything to God. And if her passing is actually happened at the time when God is taking us to be His example to convey His primary Revelations to be worldwide, and she has sung The Song of Victory beautifully and piously, thus actually her spirit has come to the point that she aims for. Hence, she deserves to change role in Heaven. That actually, all roles in Heaven of Eden are solely within God’s Stipulation, and every role will come to the fullness of objectivity of the tale of Heaven in the world, for all stories of happenings in Eden are real, but they contain Heavens’ stories that are also real and modern and absolutely come from the Real Truth of God. Therefore, the postulate of God’s Law for the life in the world and the hereafter can be united in all procession of Eden spiritualism, which is a Divine truth yet truly applied in human world, thus the truest postulate of God’s Law can be made accurate in human world today. Thus, the existence of Heaven in the world becomes important and full of meaning. 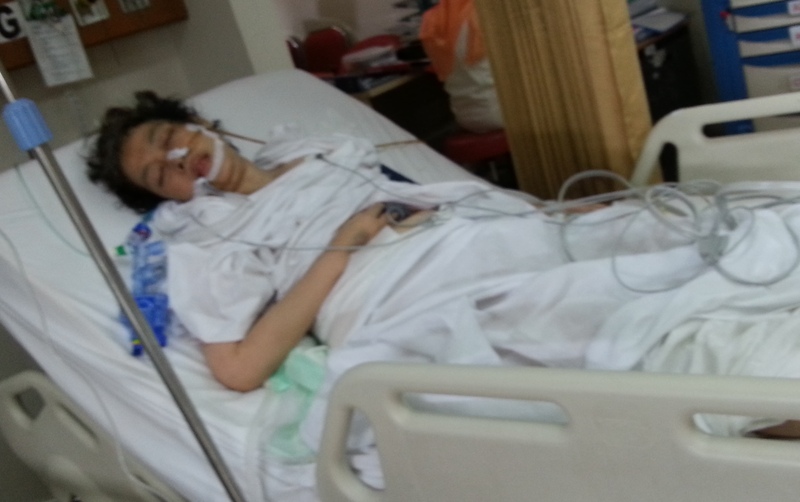 It depends on God what is His best plan for our beloved sister YM Dunuk. However, certainly there is an explanation that is full of wisdom behind her death, for we all are the role model in explaining the law of spirit regulation and the law of reincarnation or the law of incarnation. All potencies of retribution of the law of karma can be explained through the tale of Heaven, it also shows God’s Blessings which is versatile for all reward of virtuousness, sacrifice and devotion. Therefore, the potency of the transformation of spiritualism that unifies all religions has a firm foundation through the occurrences that we face. After all, the true and Divine occurrences that involve modern life at this time can directly be enjoyed and could become an enlightenment, because the deepest lessons are descended down by God along with them. Our sadness left by YM Dunuk is recovered when the wisdoms flowing heavily and deeply into each of our hearts. Thank you, God. And it depends on whatever will be shown by YM Dunuk and her spirit later on, when God is willing to explain to the world public regarding the law of reincarnation as well as incarnation as an absoluteness of the law of spirit regulation in life and in afterlife realm. Yonder, this is the event session of the tale of Heaven in the world, that the law of spirit regulation, the law of reincarnation and incarnation must be able to be explained through the occurrences that happen in Heaven, so the tale of Heaven is not just sky-high, but it is down to earth and real. So that the spiritual teaching that is complete and blessed by God with perfect explanation can be brought up to the world public with all the evidences. This time Eden presents the story about karma redemption of a veneration upon the goddess Kwan Yin that certainly will continue to the other chapters related to the law of spirit regulation and the law of incarnation. It is explained that incarnation is a spirit embodiment of the goddess or god (female angel and male angel) onto someone, for the sake of bringing a teaching or straightening the religious teaching or as the messenger of God’s Directions for the adherents. It is stated that the goddess Kwan Yin incarnated to YM Dunuk who was a Muslim, thus actually the broadness of the law of reincarnation and incarnation is not limited, in accordant with the infinity of God’s Stipulation upon the destiny of a spirit on every creature and His creation. Thus, now we are commanded by God to render the trace of YM Dunuk in Eden all this time, to be studied as the personality of the incarnation of the goddess Kwan Yin in Heaven of Eden. It figures, all noble attitudes shown by YM Dunuk have impressed all Eden Community, thus all Eden Community can testify the nobleness of YM Dunuk all this time and all her sacrifices and devotions that never diminished. But herein, we publicize the voice of YM Dunuk when she sang the songs of Heaven. And God tells us that she is the incarnation of the Goddess Kwan Yin. After all, we should explain it for the sake of the absoluteness of God’s Law taught to us. Whatever the life suffering that YM Dunuk went through from her breast cancer disease, according to God it is the torment for the venerated figure. However, we testify that YM Dunuk is one of the Eden’s Prophet whose belief is strong and she continuously giving to others, so there is no article that could be stated that her breast cancer and her death is a judgment for her mistake, for we testify that her character of personality was lovely and her virtuousness was holy and strongly endured. And she was always zestful in her devotion to God in health and sickness. And during her illness, she still threw her funny sense of humor, that is the typical character of YM Dunuk that we will miss. Our memory of her is just a sincere love and her advice that always straightening and reminding, which has never diminished even in her sickness. She always focused giving all her attention to every errand in Eden and to every attitude and behavior of all Eden Community, and she always wanted to make everyone happy with what she could provide. And we testify that she was very focused on all God’s Mandates in Eden, in her health or sickness. She immediately composed a song and assisted in translating God’s Revelations whenever she felt better. For us, she is like an angel sent by God to fight together with us. Through all the times we spent together, there was no fatal mistake that she did, for she was always obedient and full of love. She constantly gave examples of virtuousness to us all. She passed away before our Destiny is acknowledged and it is still in the lowest point of the beginning of the reversal flow, as the signs has been sung by YM Dunuk through The Song of Victory. But this is the incident of karma redemption of veneration upon the goddess Kwan Yin by YM Dunuk, reminded by God to all of us, particularly the Buddhists. The destiny of the passing of YM Dunuk, we should accept as the evidence of the karma redemption of veneration that is truly forbidden by God, for He is the Only God. Thus, veneration is truly forbidden and it is being taught to us through what we have been through with YM Dunuk and through her passing that truly saddened our hearts. But YM Dunuk is now already in God’s Hands, and we look forward for her to be back with us continuing her struggle in her form of reincarnation or incarnation. God, please bring back soon YM Dunuk to us. Siti Zaenab Luxfiati was our friend who was full of dedication carrying out God’s Mandate in Eden. And she was the first person who believed in Eden’s destiny and who consistently accompanied Her Highness Mother Lia Eden. She was the Eden’s singer with beautiful voice and also the composer of Eden’s songs. Truly, her passing is a great loss for us, and so we mourn deeply because of it. As for her passing, it has given deep and abundant wisdoms for all of us in Eden. Hopefully God will soon bring her back to us in Heaven, manifested in her reincarnation or incarnation. My Love in The Heaven is inspired by Archangel Jibril the Holy Spirit, sung by YM Dunuk and YM Yusuf. This song was composed by YM Dunuk under the guidance of the Holy Spirit to YM Dunuk. 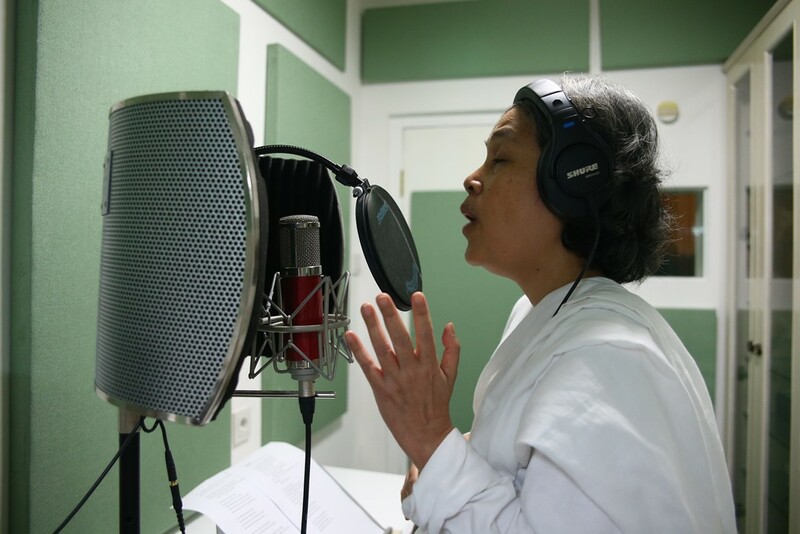 The song Tiāntáng was composed and sung by YM Dunuk, and recorded when she had already been ill. So we think, when the song was composed and commanded to be sung by YM Dunuk, actually there had been an explanation that God trying to say about the role of YM Dunuk as the incarnation of Kwan Yin, it is just that all of us were not yet aware to give special attention to that matter, for at that time the song was composed for the purpose of sensing the piousness of Imlek. YM Dunuk’s lack of knowledge about spiritual Chinese songs (Buddha) made her uncertain to sing this song. However, this is the only song that has a Buddhist (Chinese) nuance, which she sang despite her lack of knowledge. This is the song sung by YM Dunuk for the Buddhists. Thus, we also dedicate this song for the Buddhists. These are the Songs; Love of the Universe and Love in Heaven, a present from His Highness the Holy Spirit for Her Highness Mother’s Birthday, sung by YM Dunuk, the song was composed by YM Dunuk under the guidance of the Holy Spirit. The last song that we release, The Song of Victory, was also sung by YM Dunuk and YM Yusuf, and the song was composed by YM Dunuk under the guidance of Archangel Jibril the Holy Spirit.